Data is the backbone of every business from enterprise to the SMB market. It’s imperative to make sure that your data is safe and available at all times. Disasters are capable of occurring without warning and can destroy all of your businesses critical data. Backups are necessary to ensure that no important data is lost during any type of disaster. We recommend having a professional backup and data restoration system implemented to ensure everything is available even during times of crisis. There are many different techniques when it comes to backups, below are just a few of the techniques used in today’s industry. Cloud storage has generated a large buzz in past years. This is a very efficient way to run offsite data backups. Backing your data up to the cloud is both convenient and affordable and comes with many benefits, one being that you have the ability to access your data from anywhere as long as there is an internet connection. Using cloud services is also beneficial because your MSP is in charge of performing maintenance and managing the backups. Cloud backup services typically include the backup software and storage space. 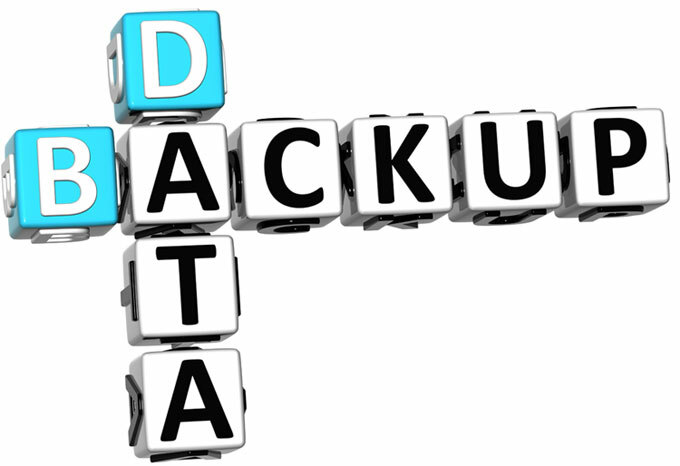 Every backup will include a detailed report to review so you can make sure your data is being backed up properly. USB sticks (flash drives) are another way to successfully backup your critical business data. These are small sticks that you are able to insert directly into the workstation or server for data storage purposes. For the most part these devices are very cheap, and are priced on their storage capacity. These mini flash drives are very convenient and have the ability to fit in your pocket, however, this type of backup is not recommend as a permanent backup solution since USB backups are typically not monitored and there is no email reporting on the status of the backups. External hard drives or Network Attached Storage devices are a convenient method businesses have been using to back up their data. For the most part storing your backups on external hard drives or NAS is inexpensive. This method is capable of backing up large amounts of data at a fast pace. These devices are also less secure. The fact that they are external and on premise makes it possible for someone to just walk right up and steal it, or they can be destroyed in a fire or flood.